The FBI recently released details of a plan to monitor social networking sites like Facebook and Twitter. The intent is to gather information to get higher quality "on the ground" information to respond to crises and even to predict them. Take a look at the questions and answers pulled from the document Publicly Available Social Media Monitoring. Or, you can read my document Caveats for Using Public Social Media Sites, which follows the excerpts from the FBI's document. Describe all the uses of information. The NOC will retain information for no more than 5 years to provide situational awareness and establish a common operating picture. This five-year retention schedule is based on the operational needs of the Department. Do individuals have the opportunity and/or right to decline to provide information? What are the procedures that allow individuals to gain access to their information? ...Given the nature of some of the information in the SWO and NOC Tracker Logs (sensitive law enforcement or intelligence information), DHS may not always permit the individual to gain access to or request amendment of his or her record. However, requests processed under the PA will also be processed under FOIA [Freedom of Information Act]; requesters will always be given the benefit of the statute with the more liberal release requirements. The FOIA does not grant an absolute right to examine government documents; the FOIA establishes the right to request records and to receive a response to the request. Given the sensitivity and scope of the information collected, as well as any information sharing conducted on the system, what privacy risks were identified and how do the security controls mitigate them? Media feed aggregation tools/sites are publicly-available, third-party services. Information is collected by the service itself to establish an account. Thereafter, users determine their level of involvement and decide how “visible” they wish their presence on any given service to be. The ability to choose how much information to disclose, as well as the short period of retention for any information collected by the NOC serves to mitigate any privacy risk. Caveats for Using Public Social Media Sites Don't ever put information into a public website that you don't want the FBI to see, download, copy and store for five years. If you're concerned that other people might enter information into a public social media site about you that is inaccurate, you have little chance of finding out about it from the FBI, which will download, copy and store it for five years. 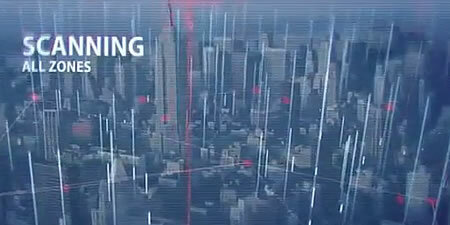 Some sf fans may be thinking that officials at the Department of Homeland Security have been watching the new series Person of Interest and have been trying to build The Machine, a vast computer system that pulls together data from different sources on citizens in New York City. Was notice provided to the individual prior to collection of information? Yes, notice is provided through this PIA and through DHS/OPS – 003 Operations Collection, Planning, Coordination, Reporting, Analysis, and Fusion SORN (75 FR 69689, published November 15, 2010), and the newly published Department of Homeland Security Office of Operations Coordination and Planning – 004 Publicly Available Social Media Monitoring and Situational Awareness Initiative System of Records. "There's no point in acting all surprised about it. All the planning charts and demolition orders have been on display in your local planning department in Alpha Centauri for fifty of your Earth years, so you've had plenty of time to lodge any formal complaint, and it's far too late to start making a fuss about it now. From Publicly Available Social Media Monitoring (pdf) via New Scientist; thanks to Erik Glenn for the tip and the reference for this story.